The mayor ends another Bloomberg-era legal battle, this one involving people of color who wanted to become firefighters. Bill de Blasio’s deep pass—the effort to get his UPK plan funded by a tax on the rich—appears to have been stopped short of the end zone, tackled by a governor looking to co-opt his 2014 Republican opponents and by City Hall’s limited authority over taxes. But the mayor keeps on picking up yards here and there by using one power he does have: the ability to decide when and how New York City goes to court. 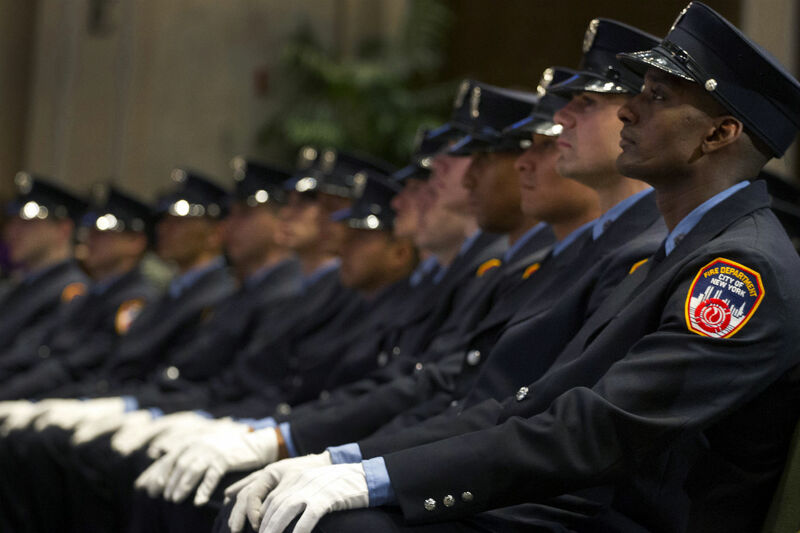 Today de Blasio agreed to settle a lawsuit by 1,500 minority FDNY applicants who contended the city’s firefighter exam discriminated against them. Their suit had already forced changes in the FDNY test that led to a more diverse recent probationary class. Now the city will pay just over $100 million to settle the applicants’ personal claims and pay their lawyers. So ends one of the bitterest legal disputes of the Bloomberg era, in which a federal judge ruled that the city had intentionally discriminated against would-be firefighters on color, a ruling later tossed by an appeals court. The FDNY settlement is the fifth major Bloomberg-era case that de Blasio has ended. First was the stop-and-frisk litigation, which the mayor moved to end within his first month in office. His administration also ended a Bloomberg-initiated challenge to a 2013 prevailing wage law and settled with folks who sued after being arrested at the 2004 Republican National Convention. More recently, he dropped a lawsuit his predecessor had filed challenging the legality of a law passed by the City Council over Bloomberg’s veto to expand the city’s prohibition of profiling. None of these moves were big surprises; in fact, most were expected. Still, they have symbolic weight as well as policy substance, effectively closing the book on several of the divisive issues of the Bloomberg era. Other issues, of course, will still find their way to a courtroom. De Blasio’s own decisions will start to land the city at the defendant’s table. Already, both charter school proponents and opponents have moved to sue the mayor for his limited reversal of late 2013 co-location decisions. And some Bloomberg-era cases persist. One is a lawsuit by Muslim New Yorkers against the NYPD for its surveilance program. While a similar case was tossed out of New Jersey federal court earlier this year, the Raza case continues in the Eastern District. As recently as mid-February, de Blasio’s corporation counsel (serving, ironically, as the lawyer for named defendants Mike Bloomberg and Ray Kelly) asked the judge not to permit law students to see any of the confidential police documents that might be shared during discovery. Will de Blasio add that case to the legal battles on which he admits the city was wrong? The mayor’s position on the legality of the NYPD spy operation has been fluid; he backed it in 2012 and denounced it in 2013. Not every city lawsuit can be treated as a statement of political principles: Some involve issues like the separation of powers or federalism that a mayor has a duty to contest. But if shaking hands with plaintiffs is the one sure-fire way de Blasio has found to undo some of Bloomberg’s impact, he may not want to stop at five.